To be fair to Phil, only true champions get nicknames in cycle racing, at least nicknames which are know to the public at large. 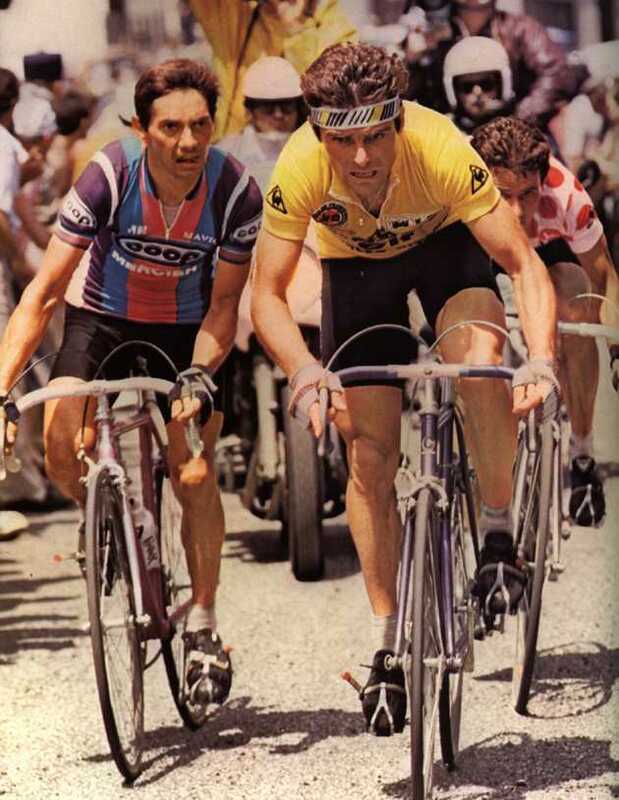 Hinault was a true champion and the closest anyone has come to emulating the astonishing Eddy Merckx. "Monsieur Blaireau" seemed to have that same happy nack of winning any race he set his mind to, except the 1986 Tour de France where he at last met his Waterloo in the shape of team-mate Greg Lemond. Imagine the impact this young rider had when he burst onto the scene! Suddenly France had a man seemingly good enough to be mentioned in the same breath as Jacques Anquetil - the biggest accolade a French rider could receive. Our Hinault Pictorial portrays Mister Badger's distinguished career. A few days later he won Liège-Bastogne-Liège and the question being asked was "have the French found a New Saviour?" 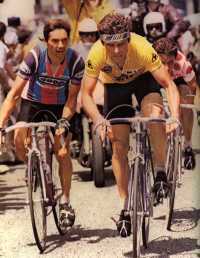 With a dominant display, Hinault rode away from the field to win the 1980 world road title in his native France. In 1981 Bernard Hinault wore his rainbow jersey to victory in Paris-Roubaix, the first French winner in over 25 years.